GlobeOne connects a global community and jump starts a new financial revolution. 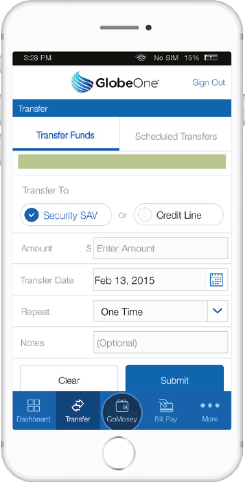 Utilizing state-of-the-art technology to connect a global community to provide highly affordable and accessible financial services based on a predictable fixed annual fee. GlobeOne’s model is predicated on integrating with multiple banks in multiple countries around the world so that they can work together. Kony provided the technical platform to make that integration possible and Infostretch mapped GlobeOne’s business and operational challenges to the capabilities of the Kony product platform to solve the problem. 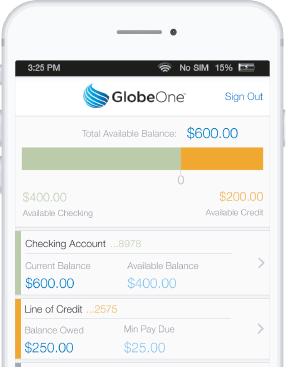 The GlobeOne mobile app, readily available through app stores, provides an easy, engaging and intuitive suite of financial services, including paperless checking, security savings, lines of credit, unlimited instant domestic and international transfers, and an evolutionary global sharing economy based model called SocialBoost, all for a flat monthly fee of $9.95. GlobeOne’s mission is to create financial inclusion for the growing number of unbanked and underbanked consumers by improving and enhancing their financial health and well being. GlobeOne does not want to be a bank. It does not hold any money. Rather it provides the front end infrastructure, integration and access points needed to connect its customers to a large network of community banks across the world which can process their transactions. Kony, an industry leader in mobile application development, started working with GlobeOne to provide the foundational development platform for the GlobeOne application. GlobeOne was looking to create a standardized development infrastructure for its different channels and applications – mobile, native, desktop – to accelerate time to market and ensure maximum flexibility to respond to the unique dynamics of different geographic markets around the world. Infostretch was brought on by Kony to build the phase one version of the application to deliver on Kony’s vision for this highly flexible mobile development platform. The Infostretch team utilized Kony’s open, standards-based tools – Kony Studio for development and Kony MobileFabric for the backend integration. MobileFabric is one of the company’s newest products and Infostretch has been an early adopter and user. In a short span of 8 weeks, Infostretch became the principal development partner responsible for developing the GlobeOne mobile app for consumers. Infostretch had to build for multiple platforms including mobile, native and desktop, and Kony’s market-leading platform made this much faster and easier. Infostretch assigned the right mix of Onsite (project manager + technical lead) and Offsite (development, QA and a technical lead) resources to ensure on-time delivery, flexibility and responsiveness for both Kony and GlobeOne. 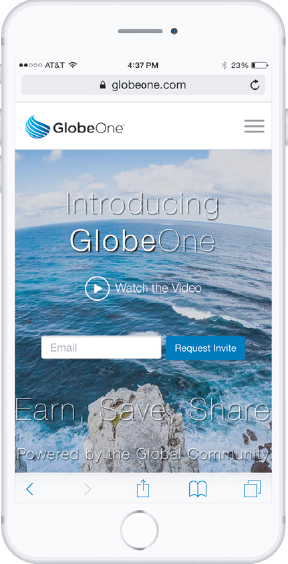 Phase 2 – Developed and deployed additional features; fortified existing features – accelerating GlobeOne’s ability to quickly add new functionality as it rolls out into new geographies and adds more banks to its global community. 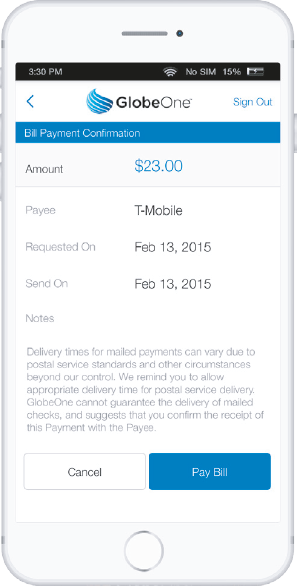 Continued to leverage the deep capabilities of the Kony platform. With the help of Kony and Infostretch, GlobeOne is deploying the development infrastructure it needs to connect a global financial community. It has accelerated its time to market and enabled rapid expansion into new geographies while ensuring the flexibility and agility it needs to adjust to changing market dynamics. We would love to hear more about your project. Even a short phone call can help us explain how our solutions can accelerate your mobility, jump start your continuous delivery and help reduce costs. And that’s just for starters, understanding more about your project will enable us to build a solution that fits your objectives, infrastructure and aspirations! By submitting this form, you agree that you have read and understand Infostretch’s Terms and Conditions. You can opt-out of communications at any time.